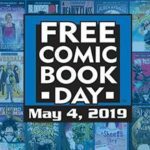 ← Free Comic Book Day! May 4, 2013! The Latest and (Mostly) Greatest #71 by Dan! And we’re back! It was a light week here for comics, but some of these titles are definitely worth talking about. Let’s do this! 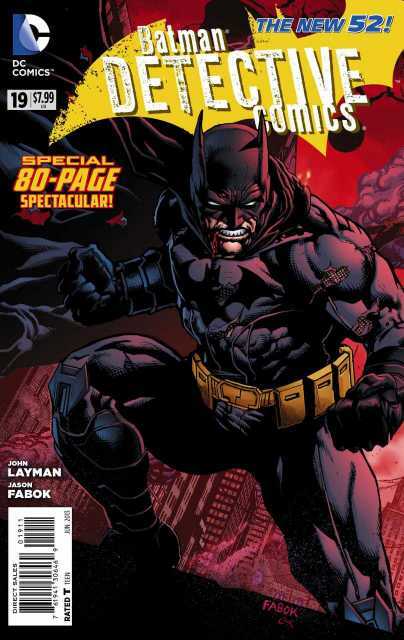 All right, so while not actually being the 900th issue of Detective Comics (but we all totally know it is) this issue talks about “the 900”, a block in Gotham City that just so happens to get infected by Man-Bat serum and everything goes crazy in Gotham. It’s a surprisingly good issue, and that’s even with a $7.99 price tag. For that price you get tons of pages of new content, no reprints, and about eight different pin-ups by artists that have all worked on Batman in some way. You get stories advancing plots from Batman, Detective, Talon and maybe something Man-Bat related. Detective is quietly stealing the spotlight from Batman as the best Bat-title on the stands. This is a fantastic issue that’s actually worth the high price tag. Abe Sapien getting his own ongoing series is an interesting choice. It makes perfect sense, as he is one of the main characters in the Hellboy universe, but I just wonder why it’s happening now. This first issue is pretty stellar, setting up enough information for people that only know the character from the movies, but it doesn’t completely cater to them, discussing pieces of B.P.R.D. lore and getting its own story going. 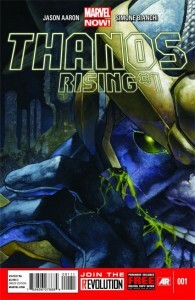 The story itself is boosted by Fiumara’s art. I’m a much bigger fan of his brother, Max, so I can’t wait until he does an arc. 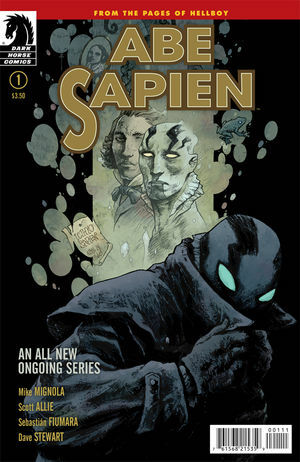 In the meantime, this is a solid debut issue of another fun Mignola-Verse story. While it seem that Hulk is the lighter version of the damn-near perfect Dardevil title that Waid is writing, that doesn’t mean that it’s bad. In fact, this might be one of the better issues of this series, and that’s got to be because of Walt Simonson. 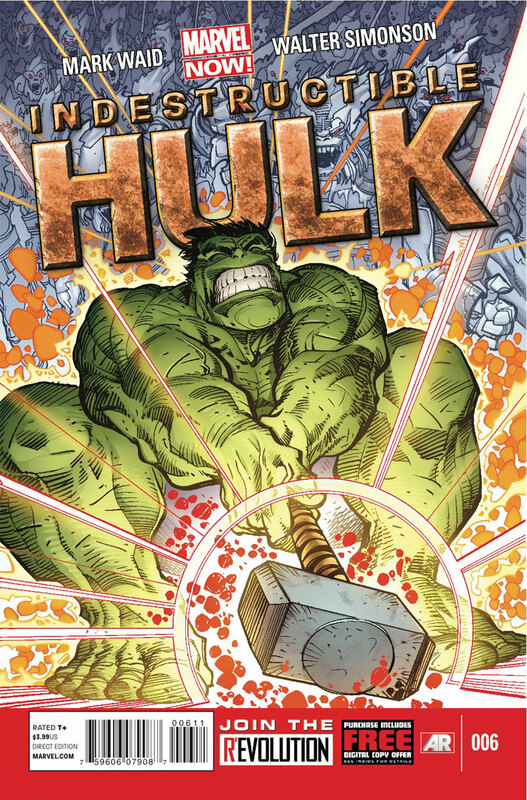 Waid plays it smart by giving Simonson the opportunity to draw both the Hulk and Thor (perhaps his most known work). It’s all great fun even if it does lead to a plot I’m not necessarily sure I agree with (and I’m hoping is a fake out). 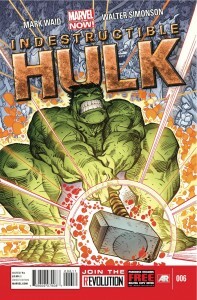 It boils down to this: if you want to watch Hulk and Thor kill the S^%* out of some frost giants, here’s the book for you. So, apparently things are slightly behind in the Deadpool camp, because this week we get a “filler story from the 70s or 80s” where Deadpool signs a contract with the devil to help make sure that Iron Man drinks. It’s quite literally as bizarre as it sounds. 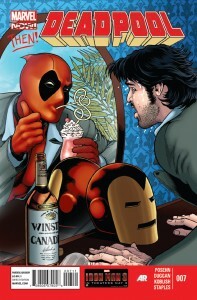 It always helps to have two comedians writing the Deadpool book, Posehn and Duggan absolutely kill it. Every panel has a different joke in some way, and most of them completely nail it. 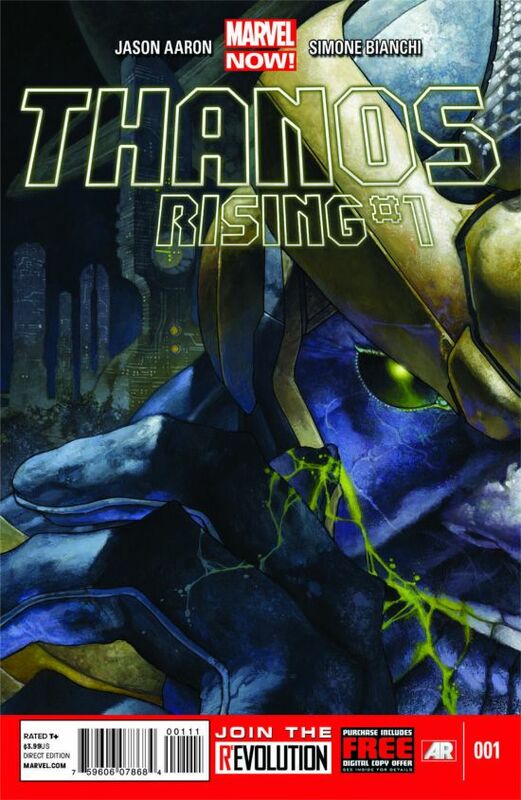 This book is without a doubt the funniest Marvel book in a long time, and I can’t wait for each and every issue to come out. 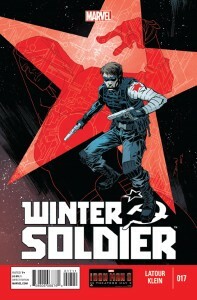 Winter Soldier #17 Writer: Jason Latour Artist: Nic Klein: I was worried about this book after Brubaker left, but no longer. It’s a good ol’ fashioned “Fury send Bucky to space to fight nazis… kinda” story that’s worth loving. Great stuff. Age of Ultron #4 Writer: Brian Michael Bendis Artist: Bryan Hitch: I feel like we’re already at the point where the less said about this title, the better. It’s very mediocre and slow moving. Good thing it’s coming out fast, cuz’ it’ll all be over soon. 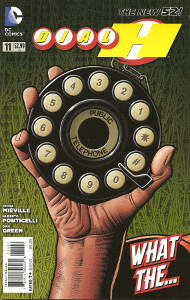 Dial H #11 Writer: China Mieville Artist: Alberto Ponticelli: I love this goofy little book. It’s as close as we’re going to get to a modern and new Vertigo-style idea, and it’s just so much fun. You should really buy it. Animal Man #19 Writer: Jeff Lemire Artist: Steve Pugh: A lot of whining and nagging leads to a pretty boring issue. Definitely sub-par compared to what has come before it. Stormwatch #19 Writer: Jim Starlin Artist: Yvel Guichet: Something about Starlin writing a book that Warren Ellis created doesn’t feel right to me. The book itself is OK, but this is the third new team in 19 issues, so ya gotta wonder what the direction/point of the whole thing is. And that’s the week! 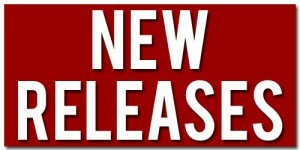 As always, leave a comment/question/concern right below, and let me know how you really feel. This entry was posted in Reviews and tagged Animal Man, Batman, Captain America, Deadpool, Hulk, Superman, Thanos. Bookmark the permalink.